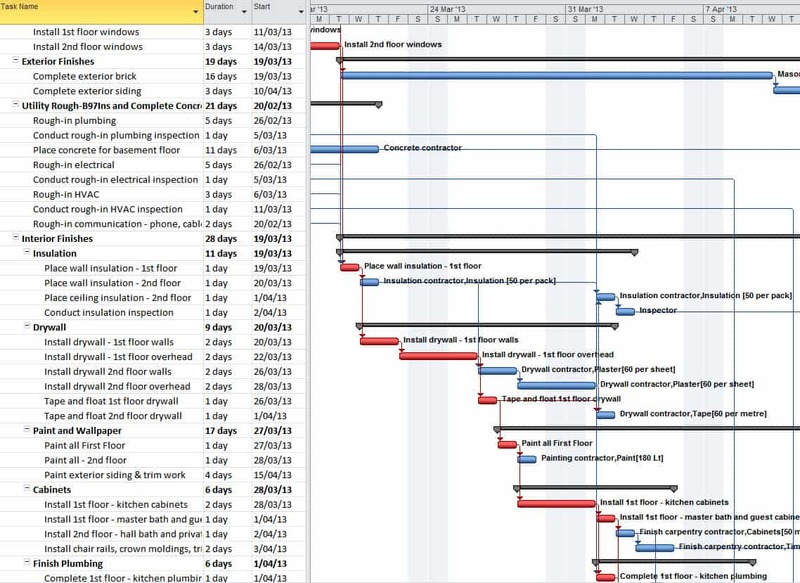 A Gantt Chart is a timeline that is used as a project management tool to illustrate how the project will run. You can view individual tasks, their durations and the sequencing of these tasks. View the overall timeline of the project and the expected completion date. As the project moves forward with actual performance updated, the Gantt Chart will adjust simultaneously displaying an up-to-date project schedule with new start and finish dates for incomplete tasks and record the original baseline of your plan. How could you benefit with using a Gantt Chart? The Gantt Chart could be used to communicate with your clients. You could show them your project plan and the expected completion date. Your clients can visually see each stage of the project and have a better understanding of the project and key milestone. You could provide this Gantt Chart in a tender proposal. Your tender response will look appealing when complimented with a professional Gantt Chart program. It can be used to show your understanding of the requirements of the project, and can demonstrate your ability to plan and manage in the eyes of the tender evaluation panel. Assist in Communication with Staff and Contractors. You could supply this Gantt Chart to staff and contractors to communicate when their services are required. Run your project with greater efficiency with improved cost and time outcomes. If you want to improve your communication between your clients, contractors and staff register for our Microsoft Project Training course.